KB Components continue the journey in operational excellence. In the past week we certified our 5th production site to IATF16949:2016. 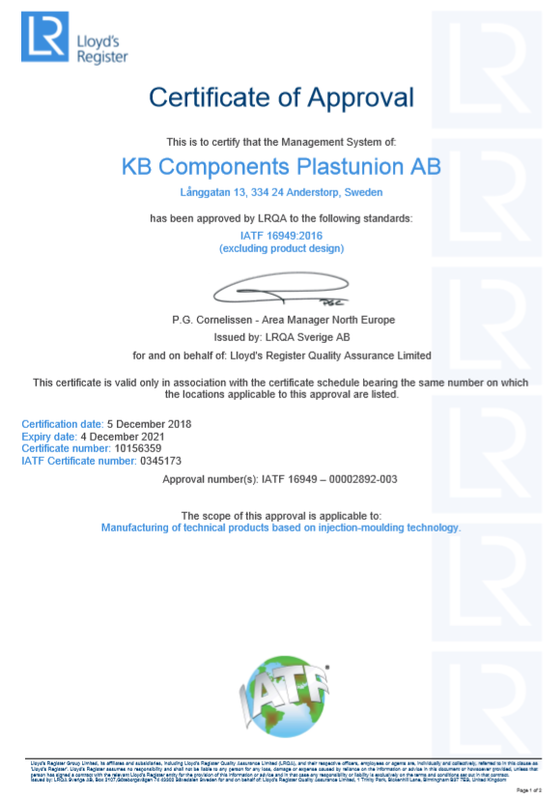 KBC Plastunion Anderstorp Sweden, is proud to offer their customers an operation, that fulfill the high requirements in the automotive segment.